Simply acknowledging the division in the Messianic (messy-antic?) world is not enough. Neither are simple calls for unity. Something must be done. 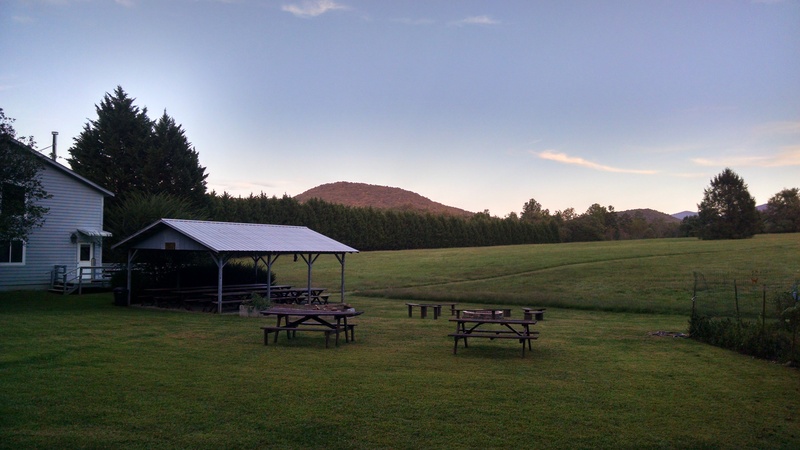 Idyllic setting of the September 2015 B’ney Yosef National Shabbat gathering in Blairsville, GA.
Over the last year or so, there has been an increasing acknowledgement of the discord in the Messianic world. Many leaders have begun to speak out against the divisions that are obvious. Divisions that do not honor our King, nor strengthen this work. To be frank, making a break with 1800+ years of church tradition takes a rather stiff spine and the heart of a leader.. or, a rebel. Until recently, those who took the road less traveled had to be very strong and blaze new trails, particularly since this move of the Spirit has been very grassroots with little to no centralized human leadership. Therefore, in the early stages of this move back to the ancient paths (Jer. 6:16-19) it is perfectly understandable that there would be strong opinions, much individualism and some differences in how we understand Scripture, but the divisions that resulted have often been more acrimonious than simple differences. The result has been a very divided Body, much to the delight of our adversary/adversaries. Among the types of divisions, we have seen ministry leaders and congregational leaders who, whether by intent or by default, have built little kingdoms and name-brands instead of The Kingdom. -Much like denominationalism… One of the very errors many of us walked away from. Bases for division include such minor issues as how to pronounce the Name, what calendar to follow, how to tie and wear tzitziot, and countless other less significant issues. The time has come to move past this rock start and begin to fellowship together while our Father heals the wounds and leads, by His Spirit into all truth. (I do think, within the bounds of His Torah, He enjoys diversity. i.e., I don’t expect everyone to have my halacha!) And, this is the basic principle of the National Shabbat gatherings. By ‘national’, Tzefanyah Pappas, the original organizer is not talking about any nation other than Israel/Ephraim. This isn’t about an American or Dutch Shabbat. Rather, it is about gathering Hebraically minded individuals in a region for worship, fellowship and prayer as well as celebration of the King and what He is doing in our day! As we do so, walls that divide us will begin to come down and we can build bridges between groups and begin to remove the isolationist tendencies often exhibited that so dishonor the King. Tomorrow I plan to post video from this past weekend’s worship with Shivat Tzion (Return to Zion) and James Block. I pray you will be challenged to begin considering pulling together multiple fellowships, individuals or groups of individuals in your region expressly to build bridges and tear down walls that divide. Take active steps toward building unity in the Body as we see sinews beginning to connect the dry bones. If Tzefanyah or I can be of assistance, please contact me and I’ll get you connected for more info and pointers. Another resource is Tommy Washburn who has been involved since the beginning and also attended the First B’ney Yosef Congress. He has set up a YouTube channel called Bney Yosef Shabbat. (Videos going up tomorrow.) We want to help you help bring unity to the Body! This entry was posted in B'Ney Yosef Congress, Sabbath and tagged Ephraim Judah, hine ma tov, National Shabbat, Psalm 133, two sticks, unity. Bookmark the permalink. Bless you, my brother. A pleasure to be on this journey/adventure with you. Hey Pete I truly enjoyed reading your post on this matter, because the last thing any f us need is division, love brother Shalom. Morning!! Saw you yesterday, but you missed me… I was big yellow at Nance and Dixie. Shabbat at our place this week at 2 PM… Come join us. I am so glad I saw this and we are thinking about you all from Aqaba. We are dealing with unity here as well. Sue and I praise Yah that you are holding these meetings and working in this area of unity. It is so needed! We wish we could have been there to attend these. We pray a blessing over you and this work. Hi there, I’m Dutch, so I was triggered by the term “Dutch Sabbath”. What in the world is a Dutch Sabbath????? The division in Holland is much less than in the States, I have noticed. We much more accept minor differences, so I feel blessed by that. Shalom to all my brothers and sisters in the US!